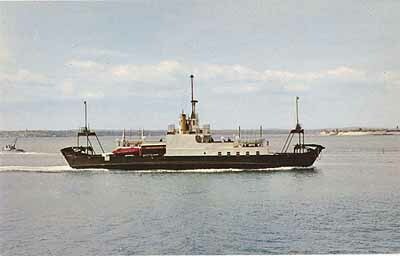 MV Fishbourne was a British Rail (later WightLink) Ro-Ro car ferry built by Philips of Dartmouth. Originally used on the Fishbourne - Portsmouth route, it was later switched to the Yarmouth - Lymington route. It was withdrawn from service and sold in 1983, it ended up in Cyprus renamed as 'Kibris I'; in 1985 it suffered engine failure and after being driven ashore, it broke up and sank.